Greater Noida, Oct 27 (IANS) Red Bull’s Sebastian Vettel won his third Formula 1 Indian Grand Prix in a row and his fourth consecutive drivers’ championship at the Buddh International Circuit (BIC) here Sunday. 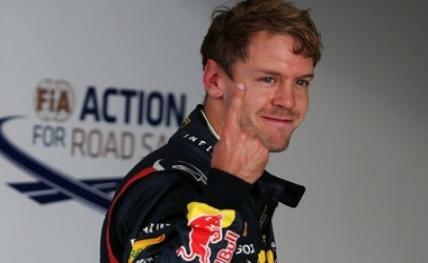 The German won the race ahead of Mercedes’ Nico Rosberg and Lotus’ Romain Grosjean. Red Bull also clinched their fourth constructors’ title.